Around 1700, Naples was one of the most important centres of music in Europe, a melting pot of different cultures brought in by composers from all over Europe who came there to study with the great Italian masters. This new recording brings together an astonishing range of keyboard music written by known and unknown masters: Trabaci, De Macque, Valente, Rodio, Storace, Strozzi, and Alessandro and Domenico Scarlatti. The music is of a high level of virtuosity and invention in which rich ornamentation and instrumental brilliance go hand in hand. 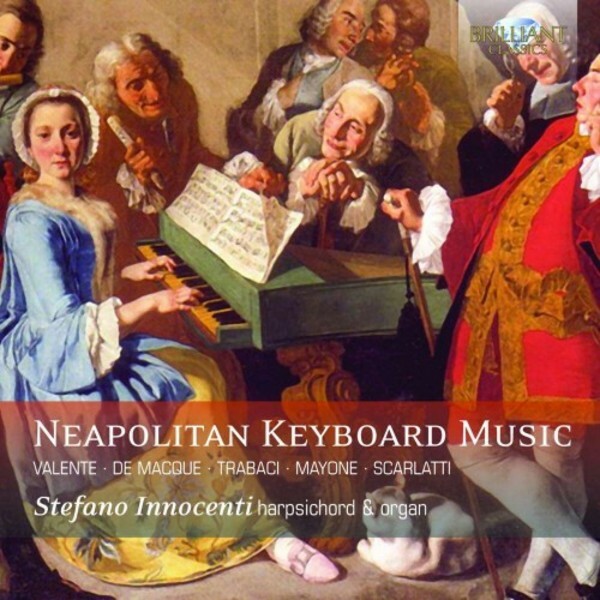 It is played on harpsichord and organ by Stefano Innocenti, who did extensive research into this fascinating part of music history - a true scholar, and an excellent soloist!